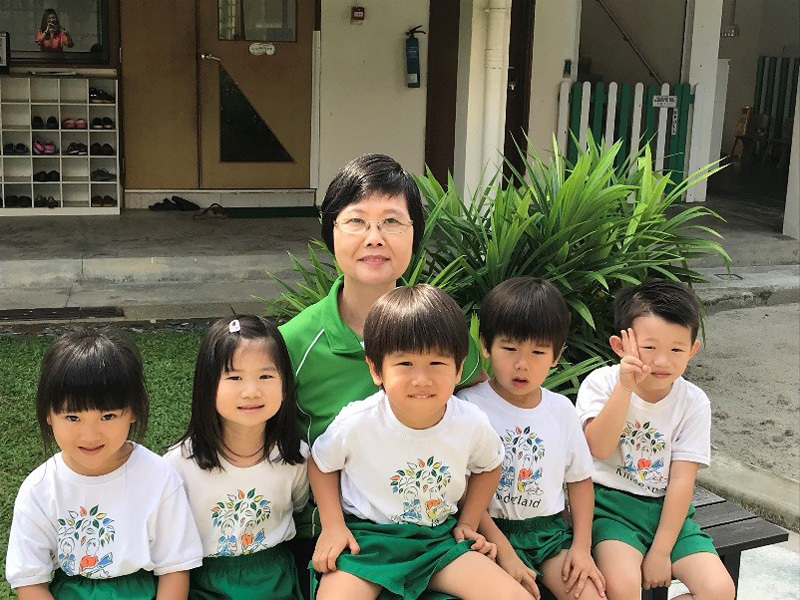 In our second iteration of Faces of Kinderland, we speak to Ms Tan, one of Kinderland’s longest serving teachers with 28 years in Kinderland! 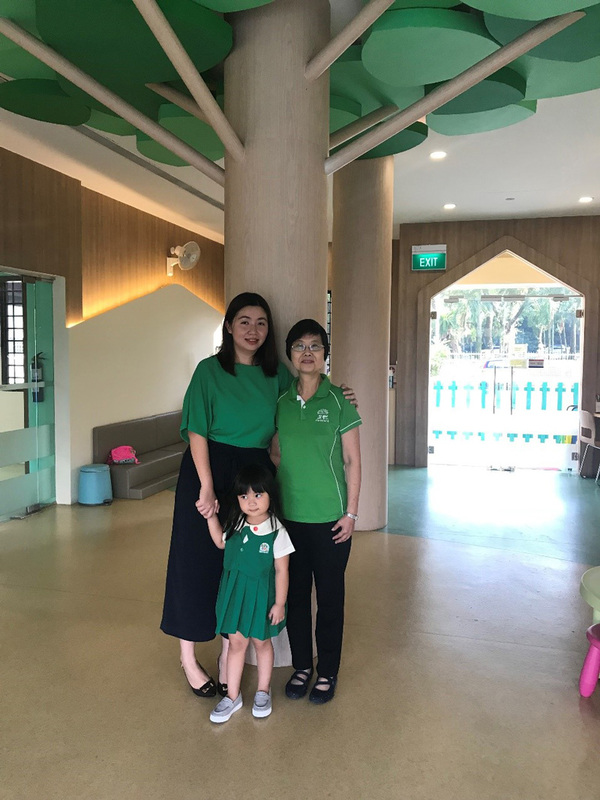 Chen Laoshi, as the children fondly refer to her, almost settled in a military career before making the big switch to follow her passion in cultivating a love for Chinese amongst the little ones. 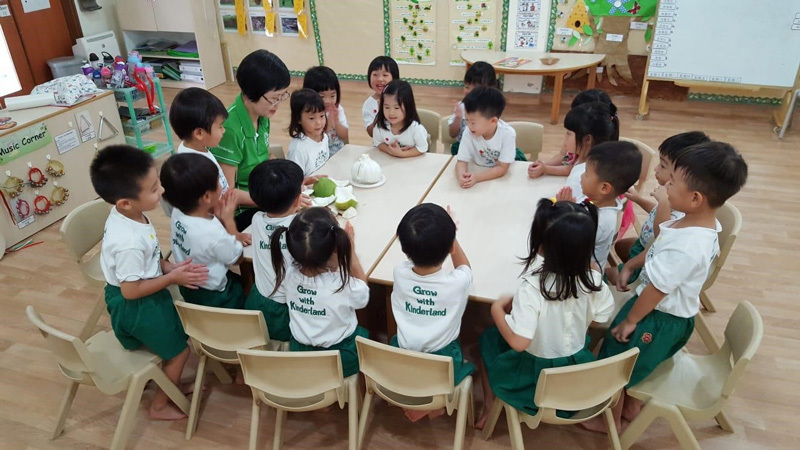 As the Chinese teacher and coordinator, Ms Tan sees an increased need for children to be bilingual, especially with globalization and China’s stronghold in business. 1. What is your role at Kinderland? I engage with children in Chinese throughout the day, making sure that the language is interesting for the children. Because of my experience, I have taken on the task of guiding the curriculum, while managing a team of eight! 2. How does Kinderland integrate Chinese into the curriculum? We use nursery rhymes, interactive games, songs, and dance to teach. Children can be afraid of learning Chinese because the characters look complicated. So, these methods make the language easier to approach. 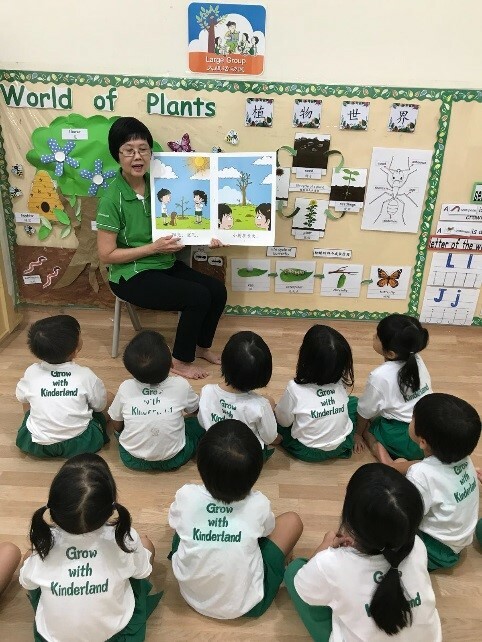 At Kinderland, we integrate the language throughout the day by having both English and Chinese teachers guiding the children always. Learning happens more naturally through such interaction. 3. How can children learn Chinese if their parents do not speak the language? We emphasize a lot on learning through play. This helps to build their vocabulary and their confidence to speak. We’ve seen instances of foreign children learning Chinese faster than some local children, perhaps due to their natural interest and a fresh perspective whereas local children tend to grow up with the impression that Chinese is difficult. So a good attitude and lots of encouragement is helpful. 4. How can parents help continue the language development at home? We get this question a lot! Hence at Kinderland we make sure to give personal feedback on each child so that parents know their child’s areas of weakness to focus on back home. Simple home activities that parents can carry out themselves would be to create Chinese flash cards. By having pictures or Chinese characters on the cards, parents can play a ‘show and tell’ game where their child can guess the Chinese term or describe the picture in Chinese. Educational TV shows for just 30mins a day can be helpful too! 5. What is your fondest memory at Kinderland? It warms my heart every time children I have taught come back and visit. There was once a mother dropped her daughter off at my class, and she told me I used to teach her. She is now 33 years old and spoke of how happy she is that her daughter is also in my class! Parents have written thank you letters to me in Chinese and that extra touch is very special to me. Allow the child to feel loved, protected and comforted in your presence. Help them develop the right attitude. Inculcate respect for their community.